Google is expanding its self-driving car fleet quickly: in the last four months the number of cars it is permitted to drive on California streets has more than tripled. As of Monday, Google has licenses for 73 self-driving vehicles, up from 23 cars in mid May, according to records from California’s Department of Motor Vehicles. Under state law, companies wishing to test autonomous vehicle technology on public roads need a permit for each vehicle from the DMV. All of the expansion of Google's fleet is for its latest model, a small, rounded car with a distinctive LIDAR laser imaging sensor on its roof and a top speed of 25 miles per hour. 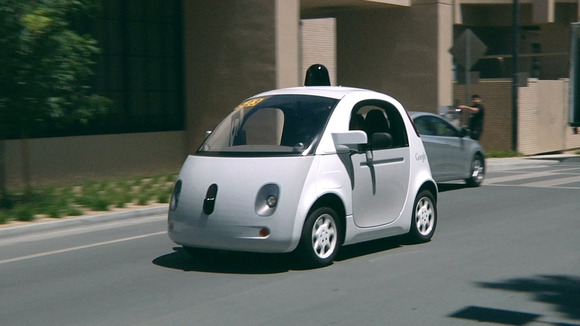 Google has licenses for 50 of the vehicles although only a handful are currently on public roads. They can be seen driving close to the offices of Google X in Mountain View. The remainder of Google's self-driving car fleet consists of previous generation Lexus RX450h SUVs. These look a good deal more industrial with sensors bolted to the sides and front of the car and a similar laser imaging system on the roof. Together, the Google driverless cars were averaging about 10,000 miles per week on public roads as of early September, according to the company. To date, Google has reported a handful of accidents and incidents involving the cars, but none have been attributed to the software. In all reported cases, accidents were either due to other drivers or happened when the car was under manual control, the company says. With the latest Google fleet expansion, there are now 102 autonomous vehicles licensed to take to the streets in California. The second biggest fleet after Google is Tesla's, which has 12 licensed cars and has been testing out an autonomous driving mode for use on highways. 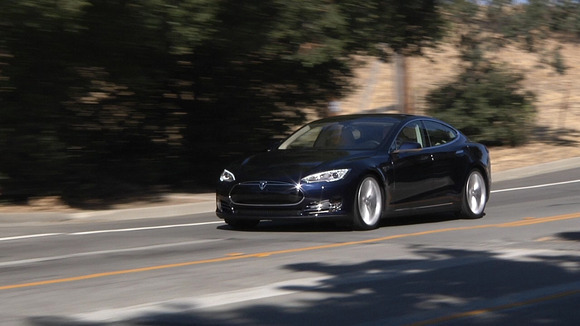 Tesla is expected to release that to owners as a software update sometime in October. Mercedes Benz has 5 cars and then Volkswagen, Delphi, Bosch, Nissan and Cruise Automation each have 2 cars. BMW and Honda each have one autonomous car licensed in the state, according to the DMV. The state also requires drivers be issued licenses for autonomous vehicles and in this area too, Google is well ahead of the competition. It has 219 licensed drivers of the 344 in the state.